Windows Live Messenger gives you brilliant ways to connect and share your photos (and other stuff). Contact lists, emoticons, instant access to your friends. It's free to download Messenger and use most of its features. 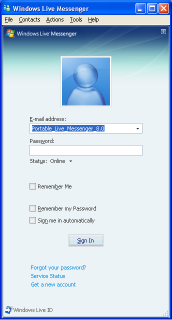 With Windows Live Messenger, you can now connect with your Yahoo! friends. Forget about using multiple accounts to talk to your friends. You can do it all directly from Windows Live Messenger.